Visit avisbudgetgroup.com for more info. Avis Rent a Car Philippines and its subsidiaries operate one of the world’s best-known car rental brands with approximately 5,500 locations in more than 165 countries. 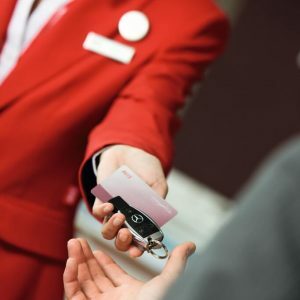 Avis has a long history of innovation in the car rental industry in the Philippines and is one of the world’s top brands for customer loyalty. Know more at avis.com. Over the past 45 years of operations, Avis Philippines has operated in several segments of the car rental industry, including the airport transfer service, the car transfer segment (i.e., point-to-point pick-up and drop-off), the car-hire service (minimum of 2 hours rental), the chauffeur-driven rental market, and the self-driven car rental segment. The last of these is the more commonly known type of rental service throughout the developed world. However, in the Philippines, as in a few other rental markets, the chauffeur-driven service is traditionally more popular, because of difficult local driving conditions and the poor state of roads in these slower-growing economies. The name Avis is known both locally and internationally as a safe, and reliable transport service available in 165 countries worldwide. Its nationwide network which enables clients to make a reservation in one location and use the vehicle in another location. Its well-trained personnel who ensure that the quality standards of Avis International are consistently being met. The high quality service offered to all our clients. the highest standards of honesty, trust and professionalism. To consistently provide SAFE, EFFICIENT, AND RELIABLE transport services through competent, highly motivated, trained and qualified personnel. We shall warrant the safety and road worthiness of all our vehicles at all times. Dependability and reliability to be admired by customers and the general public.